Fixed: A slow performance startup issue under a remote terminal session when the window state was maximized. Change: When running under a remote terminal session we’ve reduced the amount of memory allowed to be allocated for remote directory caching. 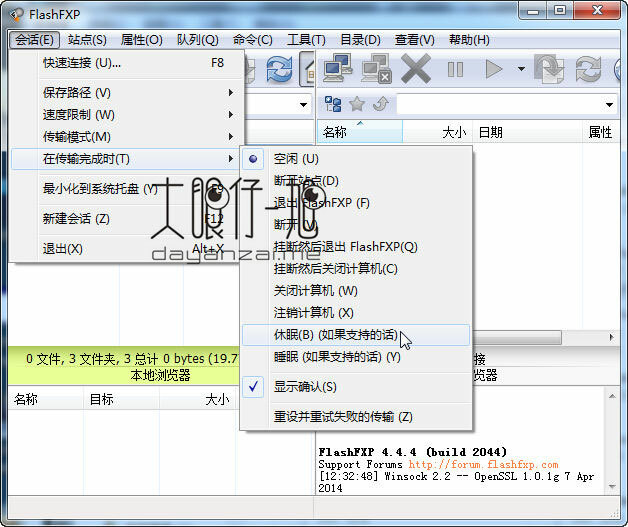 The original memory allocation limit was calculated based on a desktop PC and now we a different method for server environments to make FlashFXP more server resource friendly. The crash report dialog is now dpi-aware. Fixed: In a site profile if the login type was previously set to “Key based” and then changed to “Normal” the previously saved key was still used during authentication and before the password authentication. Now the key authentication is not attempted.